Prototyping has long been a very important part of industrial machining and part creation. Low-run prototypes allow for all manner of testing and specification changes before a part design is completed and large-scale runs are ready to go. Modern prototyping centers around rapid prototyping, which uses various technologies to make scale parts and other models using CAD data. Rapid prototyping is generally done using specialized CNC subtractive and 3D printing technologies. Rapid prototyping allows for test parts to be run at the near production-level quality in an economically efficient small-run manner. CNC machining and rapid prototyping China are available now in virtually all industrial uses worldwide. Design creation and modification are made more efficient and useful through the proper use of rapid prototyping. Before rapid prototyping, creating scale prototype parts involved essentially the same costs and time constraints involved in the final production. Because of the significant expense and time constraints involved, prototyping has been traditionally outside the scope of possibilities for many manufacturers. Traditionally, the quality of available prototypes impaired testing, even in situations where prototyping was considered feasible. Also, modifications to models involved starting over from the beginning with each modification. Rapid prototyping involves CAD 3D drafting, 3D printing, and CNC milling. 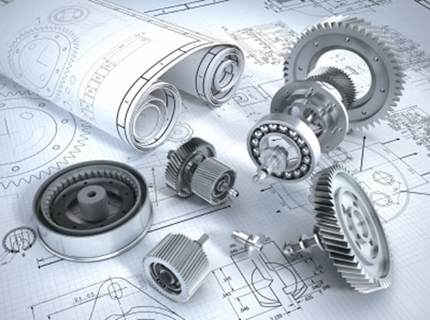 As 3D CAD sophistication continues to improve, the ease and speed of modeling with rapid prototyping will continue to be the design standard for all producers, especially the smaller firms who now have rapid prototyping in their arsenal of tools to help them engage the largest competitors. Rapid prototyping allows for proof of concept testing for new parts and applications. Proof of concept demonstrations includes the use of prototype models to test whether planned designs and part production ideas can be implemented. With working prototype models in hand, firms have the ability to test and experiment with physical models, adding modifications and further iterations as needed along the way to a final design. More realistic models allow for superior proof of concept demonstrations of plans and ideas. Working models also allow firms to show investors and shareholders the actual proof of concept of new concepts and ideas in a real and tangible way. Rapid prototyping promotes and facilitates high-quality ergonomics. Modeling allows for early detection of ergonomic issues and gives time and room for quick and efficient modifications as needed. Through modeling, design flaws that are caught early are easier to address and improve. If the design process moves further along before necessary ergonomic improvements are dealt with, it is obvious that modifications are more difficult and costly. Use of scale models through rapid prototyping services allows for almost unlimited practicality testing. As additional design components are added to the development of the prototype, the number of available tests and experiments increases, and the entire process becomes more dynamic and responsive to ideas. As prospective products move further toward final full-run plans, rapid prototyping promotes quick and cheap modifications before the much greater investment of time and money that will be involved in the final production process is necessary. Cost-prohibitive modifications to final full-run processes are made much less necessary or not needed at all through effective modeling and testing. Iterative testing through rapid prototyping allows for greatly enhanced design options and cost efficiency at every stage of the manufacturing process. Iterative design allows designers to add continuous feedback and suggestions for modifications to the design process at all times. Rapid prototyping makes this ongoing modification workable and highly effective. Rapid prototyping includes a collection of different tools and applications useful in making and modifying models that are hands-on testing tools. The process most used currently with rapid prototyping is 3D printing. 3D printing uses an additive process which creates 3D physical models through a layering process based upon designs created by using CAD software.3D printing for rapid prototyping makes use of a multitude of different materials, including polymers, ceramics, and alloys. CNC (“Computer Numerical Control”) machining allows for the creation of scale models of prototypes through a milling process. 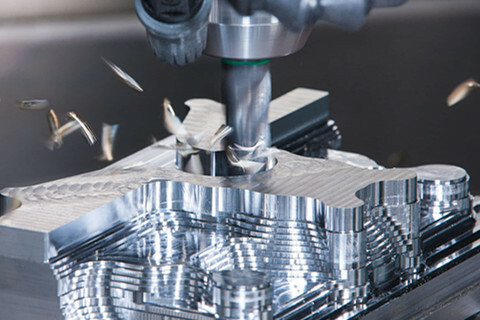 A CNC milling machine receives a quantity of raw material and the machine rotates and cuts the block into the desired model of the part being created, making use of CAD 3D data. CNC milling allows for fast and cost-efficient prototype modeling. Rapid injection molding allows for prototypes that are created quickly from many different materials within reasonable accuracy tolerances. Rapid injection molding makes use of processes designed for far lower production runs than injection molding for final parts. This prototype production method also makes use of CAD data in the production process. Stereolithography (SLA), referred to often as optical fabrication, is a specialized type of 3D printing. SLA is a more expensive process of 3D printing that allows for high-quality model production using many different versatile materials. Like other types of 3D printing, SLA makes use of CAD 3D data and uses light-reactive materials being manipulated by specialized equipment, causing precise chemical reactions to form complex polymers in the desired physical form. Selective Laser Sintering (SLS) is also a 3D printing process using specialized nylon polymers for model production. With SLS, a powerful laser manipulates nylon particles in a highly precise manner, allowing for models with exceptional tolerances and real-world usability. The process involves 3D printing by building up the physical model by adding and compounding layer upon layer of the nylon polymers. SLS allows for rapid prototyping of models of quality very close to final-run parts. Rapid prototyping is a quickly growing collection of technologies which will continue to provide the most dynamic, cost-effective, and realistic design process for parts and final assemblies. The technological variety in use for rapid prototyping will continue to grow and develop. Modern prototype providers will provide valuable services to engineers and designers in ways that will continue to grow and progress.